Have you ever asked yourself if there might be a better way to engage your fans? Do you believe that if you could create a better experience for them, that your music career would advance further and faster? Are you looking for practical ways to create a stronger connection with your fans? 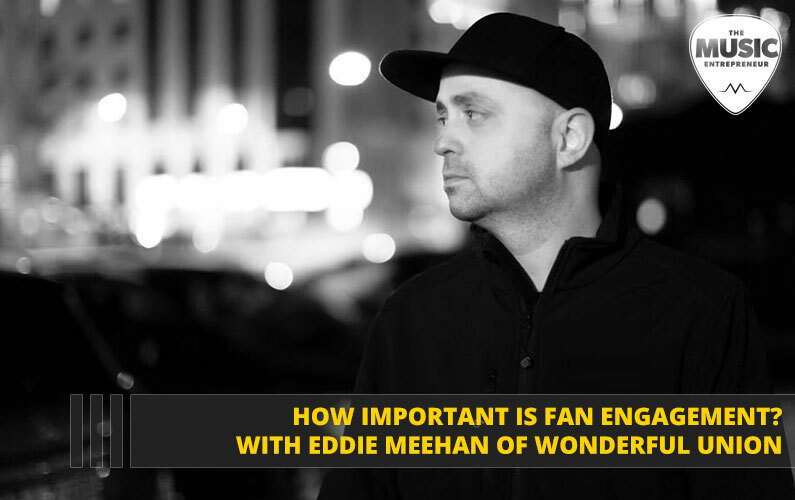 In this episode of The New Music Industry Podcast, Eddie Meehan, CEO of Wonderful Union shares how fan engagement benefits artists of all sizes. 00:44 – What is Wonderful Union? 20:07 – What is bootstrapping? 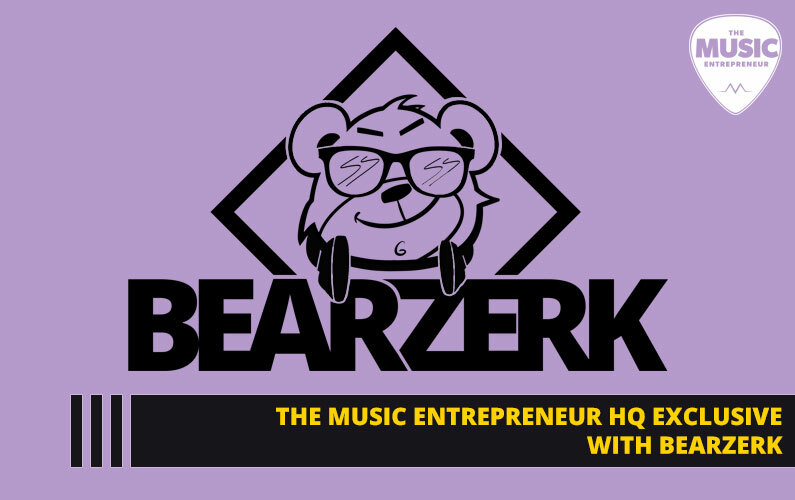 25:55 – Does location matter as a music entrepreneur? 27:12 – What is direct to consumer merchandising? 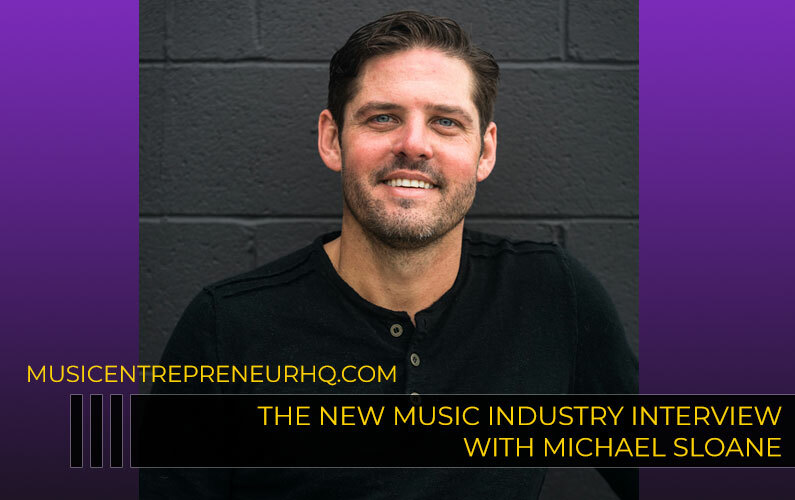 29:12 – What lessons have you learned as a music entrepreneur? 34:52 – How important is social media? 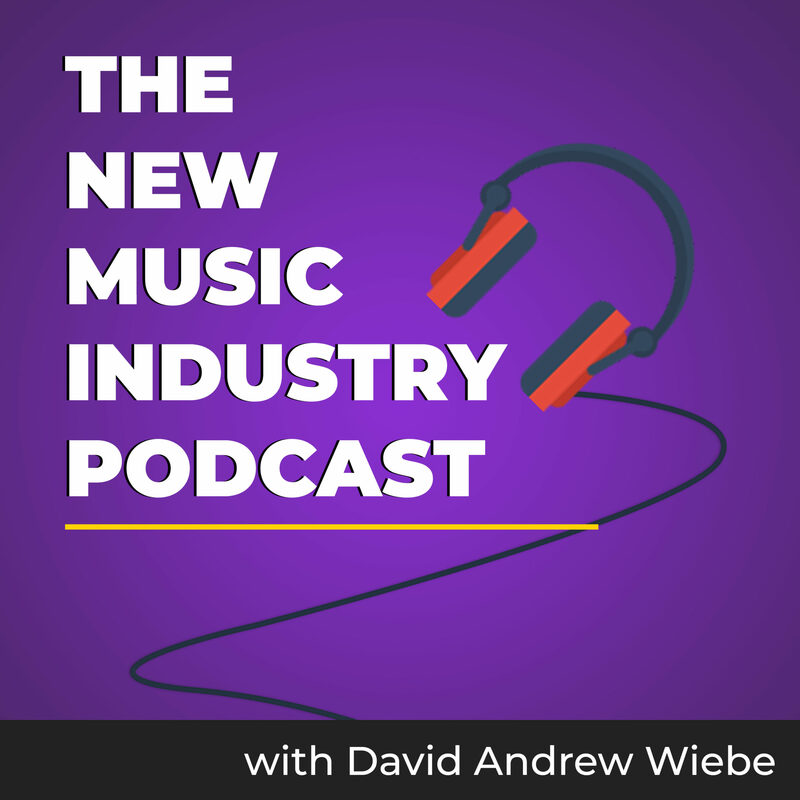 39:32 – What marketing channels are most important for musicians? 42:04 – What apps or tools are essential to your business? 46:56 – Is there anything else I should have asked? David Andrew Wiebe: Here to talk about Wonderful Union, I’m joined by president and co-founder, Eddie Meehan. How are you today Eddie? Eddie Meehan: I’m doing well. How are you doing? Eddie: Thanks for taking the time. David: Oh, it’s my pleasure. Let’s begin by talking about what Wonderful Union is. It sounds like you are doing a lot around fan engagement, ticketing, and VIP experiences. Eddie: Yeah, exactly. The way that I like to put it is it all starts with – for us, the plan of engagement is the website. It’s where people are going, whether it’s on their mobile device or whatever. We focus on building and managing websites, fan clubs. When you have your own website and fan club you have to sell tickets, and you have VIPs. If you have a fan club, you have merchandise. It all kind of works together in this big circle, and that’s kind of what we do. David: Right. And overall, I think that would help a lot of artists generate more income from their art, right? Eddie: Yeah, 100%. Especially when you have an engaged fan base. You are able to focus on driving all the traffic into one centralized place. 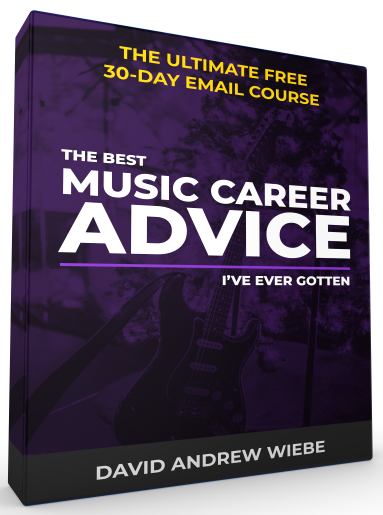 A lot of times, a lot of artists will give those right away to a record label or sometimes even their friend’s cousin who does websites in their basement. We come in and we maintain and build. We have a platform that we built from the ground up that allows for scalability, large bursts of traffic, large bursts of transactions and commerce. And so, as an artist you– The climate is changing for album sales and whatnot. Being able to have that website as your centerpiece of your business because people, let’s face it, they go on Twitter and they engage and they communicate. It’s a short-lived conversation. Facebook is a little bit longer, but there’s a lot of trolling. Maybe you like some artists who you don’t want to talk about in your system. The official website is that place where fans can go to obsess. They can build a troll-free environment, if you will. For the artist, it allows you to have a CRM. It allows you to have a database. It allows you to have all of your user information in one centralized spot and mailing for about a t-shirt or ticket or VIP package or for just a casual user who comes on to the website to hang out and discuss with other fans to talk. A one place and one platform for us that we’ve developed. David: You raise an interesting point, because it’s so easy to give away a portion of your income or revenue to companies these days without even knowing necessarily what you’re agreeing to. That is a good thing for artists to be aware of. I think a lot of people may not necessarily be familiar with CRM. That’s a customer relationship management tool. You could also look at it, I guess as your email database, if that helps. 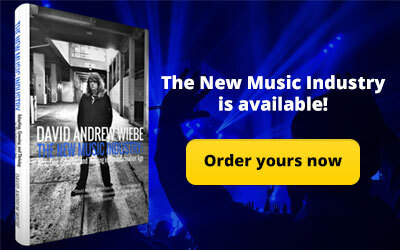 Having that database, I think is like really becoming key in the music industry these days. What do you think? Eddie: Oh, 100%. Especially– And even if you take it to the next level. You have your mailing list database, all of the people who you know their zip code, you know the state they live. But if you’re able to then go, “Oh. Well, on our last tour, these people bought on average $70 worth of product.” Being able to target them in different levels. Being able to know who your first tier, your second tier, your third-tier fans are and able to market to them creatively and specifically knowing their past purchase history and their engagement too, because you’re tracking everything. You’re tracking every click. You’re tracking every conversion. You’re watching everything they do and rewarding them for that. Maybe you’re able to offer somebody who bought a VIP package to the last tour – let them have the opportunity to get it before it goes on to… You know it’s like a pre-presale before it goes on to the general public. When I say general public, it could be like past buyers first, and then fan club second, and then the credit card people third, and so on and so forth. Record whatever local promoter pre-sale. Things like that you’re able to reward fans for being active and knowing that information. It blows my mind that so many artists just don’t… I don’t know. They don’t even think about that. They don’t even focus on it. They don’t own that information. No. Maybe the record label has the database or it’s like an old manager, or again it’s that dude who’s in the basement. It blows my mind. David: Yeah, because what you described is like incredibly powerful. Maybe even just knowing who your best customers are could change the way you do your releases and help you generate more profit upfront. So, it is absolutely crazy the things that artists hand over. And it does require a little more conscious effort to manage and think about the business side. It’s not maybe thrilling to a lot of artists, but it’s just becoming so important when you have so many fingers in the pie. Eddie: Yeah, I agree 100%. More artists are starting to think about it. 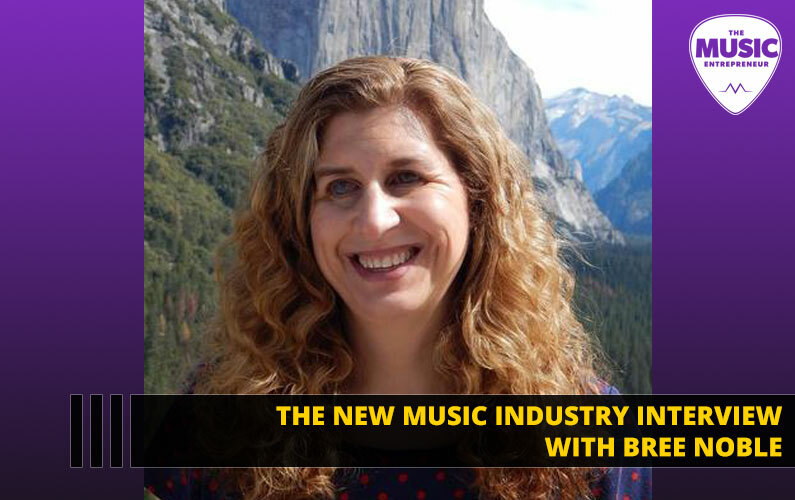 And you know as the changing in regard to some extent, the managers of the 1980s and 90s are – now, a lot of new artists are coming up, and a lot of people who think tech. They think it’s been long enough. When I started in the business, Wonderful Union has been around – formerly known as Ground Control – We’re going on our 11th year now, but I’ve been doing this way before that. Back in the days of the Blackberries and you know before the Sidekicks, and so like data is always been something that I’ve always thought as extremely important. Especially, I mean the same way you go to a website now and you go to Amazon and you look at something weird, it’s going to haunt you on every other website you go to for the next two weeks. Eddie: Like it’s just the way it is and that’s why you need to think of your fan base. You need to be where they are and give them what they want. David: Yeah. We might get sick of it at some point, but I’m sure the conversations around data are just going to keep increasing in the times to come. Eddie: Yeah. I’m already a little sick of it but it’s a definite for me. David: Me too. Yeah. How important is fan engagement these days? What kinds of things can we do today to create memorable fan experiences versus like 10 or 20 years ago? Eddie: It’s so funny. Like 20 years ago you would never think of– fan engagement would be maybe your local radio station would give away a meet-and-greet or something. Because 20 years ago is about your would tour because you wanted to promote the record to sell more records. Now, the script is fully flipped, you do a record just to go tour. Back in the day, you would have the radio stations and you would have the record labels to the radio stations or maybe magazines depending on the case, doing giveaways and contests or whatnot. Now, over the last – especially the last 10 years turning it into not… And it’s more than just me increasing. There’s the type of things that we do that can range from anywhere your traditional “Oh, here’s the photo of meet and greet with the band before the soundcheck” and all that kind of stuff before the concert to, you know vacation packages where we work with partners to get entire Carnival Cruise ship and fill it up with fans and throw events on it all weekend. That’s a mega fan experience. You’ve got 3,000 people on a boat sailing around the Caribbean or wherever you happen to be. That’s definitely a fan experience. Two other things where we have artists where we’ve done, you know, hologram karaoke on site at concerts, or we’ve done “get your hair cut just like the artist by their own barber”. You know, those type of packages. People, from the moment they purchase that ticket on wherever they purchase their ticket, to whether it’s a big–. A lot of the stuff I’m talking about is obviously big big artists, but even young and up and coming artists, it’s definitely being able to create things where you from the moment the fan purchases a ticket or thinks about going to the show, you want to be in their mind, you know, the VIP packages and those type of ticket bundles, etc. That’s a good 5% of the market, I would say, out of 100%. And so, it’s a real small niche, but you want to think about them from the moment they’re getting in their car and going the show from the time they walk in the building from the seat location to the experience they have to – maybe it’s backstage. It’s creating at the basic, basic level. Creating an evening, creating an experience, creating a moment that will live with them forever and they’ll want to possibly come back and do it again. A majority of the people that do it once come back over and over again. It has somewhat of a… I don’t know how else to describe it, but like an addictive characteristic to it where it’s… you know, people enjoy it. That’s really what you want. You want the fans to be engaged every time you come to a town. But, maybe it’s a one-time thing. Maybe it’s a birthday. Maybe it’s just a moment to create. That’s really the core of what we do with those. If you can create an experience where a fan has an amazing night, they’re going to tell 25 – 50 other fans or friends. Hopefully, that word spreads and then you have a fan for life. 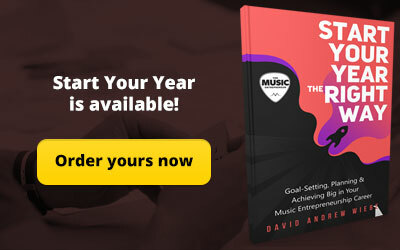 David: You just answered my next question, because I was going to ask how it could apply to independent artists when you’ve worked with so many big names like Taylor Swift, Justin Bieber, or Miley Cyrus. But I think our listeners are starting to get an idea here. And I’m a big believer in the fan engagement concept as well. I even talk about it in my book to some extent but I just – talk about the idea more and more lately that organizing a show. I mean you need to be not just a musician but an event planner. You really need to look at the big picture of where are you trying to bring your fans out to, and why will they come out, what are the drink specials, who’s on the bill that night, and is there other forms of entertainment or multimedia you can pull in even on a budget. These things are definitely doable and should be done. Eddie: 100%. Especially, like on a local level, if you have that much control of your event you could – okay, maybe you could save a couple of hundred bucks or make a little bit more money playing at the dive bar or whatever. But if you know your fan base and there’s a venue in your town that maybe it’s near the entertainment district where there’s a bunch of restaurants, it’s not all about the money. It’s about the experience. If you can select the venues, and this is getting real hard. I mean I know as an artist myself from when I used to play in bands and it’s like the music business. But like, if you’re able to pick a venue in your town where everybody wants to go out to on a Friday or Saturday night, there’s restaurants, and there’s things to do, like that’s adding to the experience that you’re giving to the fan. You’re leading them through that community. You’re leading them through that and that’s going to make a better evening for them. Now, going back to like yes, we do work with some amazing top-level talent, but with a lot of clients that we started with over the years have been–. We do take up our approach of A&R, and we try to find up and coming artists who… A lot of it is with an artist. You know the team that is around them and you know their track record for success. So like, going backwards, you know, I’ve had artists that have popped up out of nowhere. I worked with Chris Stapleton back in the day and he was a songwriter who before he ever had an album out. G-Eazy, he started I remember – he played here in town. It was 150 people, right? But he still sold 20 meet-and-greets. That was kind of the beginning of where I saw with his team, which is – he has an amazing team of people around him, and from his booking agent to his managers to everybody who’s involved is I believe in the team because I’ve worked with them before and knowing… You know, going to a show and saying “okay, he’s still finding where he is”. And this is several years ago. Still finding where he is. But you see the fans there. And you see like, even at that small level of 200 people in a room, you know, people are getting into it. He’s feeding it back the same level he does today when he’s playing in amphitheaters with 20,000 people now. But still doing the meet-and-greets. Still doing the same engagement with the fans at the same level he did at 200 people. So, for us it’s definitely about the artist and about the team and about everything just being right. From being an artist standpoint, if I was able to pull myself back into when I was playing bands 15 years ago, like I would just be like, “Oh, it’s a cool place to play.” You know you would think about the club, but you would never think about what we had talked about earlier you know. What part of town that you’re going to be in, what type of experiences it was like. I don’t know who’s selling the tickets or who’s going to show up and play. But it’s definitely… The whole business has changed so much. Very exciting but you know. It’s interesting. David: Yeah. It can be equally intimidating as well. I mean one example that came to mind is Metallica because they’re certainly portrayed as the kind of band that takes steps with their fans and meet them after shows or before shows even to this day. I think that’s the part that some people don’t understand is like they’re still doing that. They didn’t just stop doing it when they became big. They obviously put tremendous value in that. Eddie: Exactly. Metallica is one of those bands where I still buy things off their website. I have the Master Of Puppets book. I’ve got some skate decks in my office. I don’t work with them, but from a fan going back to the days, they are really the first concert I’d ever seen. And you know, living in the Bay Area, I used to meet them at shows and see them around. It’s funny. I was going through a bunch of stuff – boxes of stuff – that my folks had dropped off my house. They found it in the garage or something. As I was going through it, I remember the very first time I’ve ever done a meet-and-greet was in 1991. It was at a Slayer concert. My buddy Eric and I were sitting out in front waiting to get picked up by our folks when the tour manager came out and he’s just like “Wait there.” We’re like “All right. We’re already doing that. What’s up? What do you need us to wait here for?” And then he came and grabbed us and brought us on the bus. And that was the first time I ever had that experience where I’m sitting with the Slayer guys. They brought us on, signed and some stuff, gave us some pizza, and like send us back out. And that was like a VIP experience. Totally unplanned. They didn’t charge us for it. They gave us some merchandise. And it’s just that the same way Metallica. I think Slayer now sells… I know Metallica gives more for free through their fan club, but it’s just that level of that engagement. My point is that in that box of stuff I found the 8×10 that was autographed that night. I have it framed at my house. That was my first VIP pack. I’ve sold hundreds and hundreds of thousands of them now in my life in anywhere I’ve come, but that night was where it kind of hit me that feeling on the other side of where you know this is a cool night. And that’s really what it is. Life is short. It’s all about an amazing– to having a good time. And that night will always go like my first experience. I listen to this music all day long. This is my escapism from whatever mundane things I had to do at the time in junior high school or whatever. It came to life on stage and then I got to meet the people. It’s like “Whoa, it’s overwhelming.” which is good, which is an amazing feeling. David: Exactly. Because it’s an experience you’re still talking about. So those are the kinds of things that-. David: Yeah. So those are the kinds of things I’m thinking is what fan engagement should be. What is it like working with big names like the ones already mentioned? 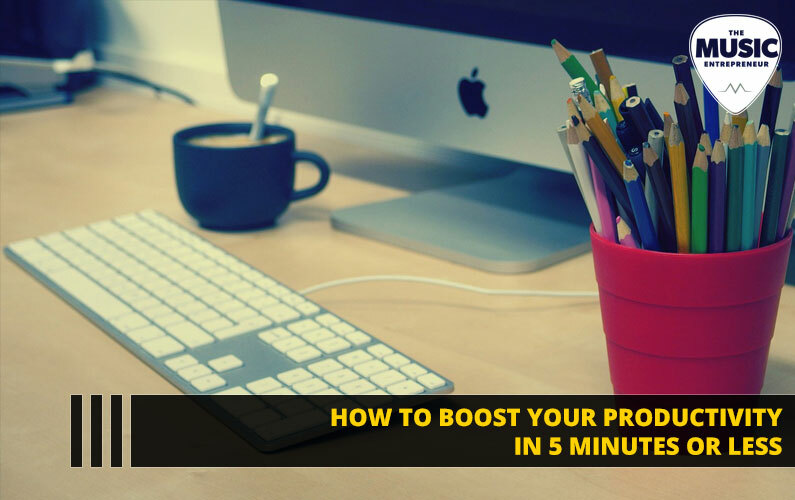 Do you feel any extra pressure to deliver results when you’re working with big clients? Back in the day, 10 years ago, we would launch one of our first project with the New Kids on The Block Reunion. Right? Totally different from Metallica and Slayer. But you know we announced that then [boosh] all of our servers went down. Everything. So, you know all those mistakes hopefully you’ll learn from them over time. And because ultimately the mistakes will be the same over and over again and if you continue that, I don’t think you’d be in business anymore. At the end of the day, working with the top-level talent that we have, I think they’ve come to trust us, and we’ve done a good job. And as long as we do a good job for them and they keep staying around, then that speaks for itself. I’ve seen a lot of different companies come and go from the time that we started. I remember there was Musictoday, and there was a couple of Echo Music, and then Topspin, and then all these companies that came and dipped into the space that we’re in. Some of them, you know, like Ian over at Topspin, he had the amazing job at Beats Music and went over to Louis Vuitton, so maybe he wins out of all of us, but… But there definitely has been a lot of companies that have come in and out of the space. I think just us doing a good job and marching on and keeping our clients happy, that’s all you have to do and they stay around. There’s really nothing more to it. David: That’s awesome. Yeah. That’s what it all comes down to – make sure you have good customer service and you’re getting the results that you’re promising. I mean having invested in a music industry startup myself – although certainly in a different field. That one failed. It’s true. So many just kind of come and go and unfortunately without the right people and the proper vision to make it happen, it can just tank so quickly, especially in a difficult industry. Eddie: It’s a very difficult industry. And luckily, between having the right people on team, we’ve never as a company taken any funding or– any you know. It’s always been bootstrapped. There is no option to fail, because then we don’t have jobs. And nobody wants a different job. So, we’ve all been very stubborn. So, I guess part of it is being stubborn. David: I agree with that. And actually, I want you to talk more about that because I think bootstrapping is a concept that was sort of lost on the people I was working with, and one idea that probably many music entrepreneurs should be aware of. Eddie: Yeah. It’s funny because there was a handful of us who were building websites. Getting into the fan club business came second. It was one of those things like, “Do you guys do this?” And it’s like, “Yeah. Of course, we do.” Because we’re all– when you’re bootstrapped here, you don’t have a lot of room full of cushion and you have to constantly stay ahead, because you’ll never know what’s going to come next. You’ll never know. Business might dry up. Something might go wrong. The economy takes a shift. The other benefit I have being bootstrapped is starting the business in about 2006, 2007 when the American economy took a total dive. We’re coming off of the end of the Bush era. And you know, it was right before the housing market crashed here, so people weren’t spending money like they are now. And that progressed over the last 10 years where being bootstrapped, not having any funding, you’re constantly going to artists who are then at the same time were in a perfect environment where the music industry was changing itself. So, you had the economy, you have the changing music industry, where they’re looking for new revenue streams all lined up perfectly for us. And somehow, we got into a space where prior to us and a couple other players coming into the market, nobody was selling meet-and-greets or VIP packages. That was unheard of. So, we got kind of a perfect storm which doesn’t always happen. Being able to ride that in and have the ability of the economy getting a little bit better and more and more artists coming onboard with these types of transactions, and fan engagement really allowed us to grow. And so, a big part of it is luck – luck and determination. There were years where it was leaner than others. You just have to kind of – I mean just ride it out. I mean in the early, early days it was–. My business partner Greg and I was — there’d be months where it’s like, “No. We don’t get a paycheck.” but everybody else does. As long as everybody else does. And knock on wood, you know we’ve never missed an employee paycheck at this point in the business. Thankfully, we don’t worry about that anymore. But you know, it’s hard, and I think I never thought of myself as an entrepreneur until I guess here I am you know. It’s like believing in something and you know. I never really thought of having any other opportunity, any other option than doing what we’re doing because it sounded cool. And you know, it’s like a dream job, which is still to this day. David: A lot of that makes sense to me too. I’ve kept costs low. I don’t have a big office. I have a small team. I mean there’s no pressure to drive revenue numbers when you’re adequately bootstrapped. 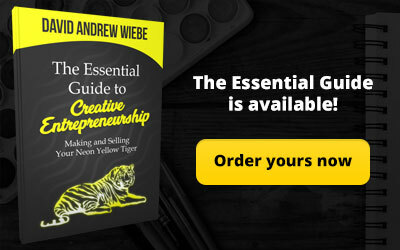 Like you say, you can still find yourself in situations where you can’t pay yourself and that’s not uncommon in the entrepreneurial world, especially among CEO or executive level people. But as long as you persevere and get your business to the next level, you can get to the point where everybody can be paid. And honestly, it is the amazing thing and so much more freedom that can come with it. I’ve just been experiencing a little bit more of that myself this summer. I love being able to do something I enjoy but also having time for myself to do other things. Eddie: 100%. And you know, once you get over that level you’re able–. I mean it’s a great feeling. And now people are always asking like, “Why are you in Sacramento California?” I was like “Well, good question. Rent is super cheap. It’s an emerging city and there’s a–“. I’m not from here. I’m here because of a past relationship, but that ended years ago. I just kind of made good friends and stayed and started my business. But it definitely, you know. As we grew the company, we kept the core base here and now we have – our second office we opened was in Nashville, Tennessee. Our third one was in Toronto. Toronto. Sorry that second T is harder for a non-local. I’m not local. Eddie: And I know you’ve been in Canada. I don’t want to say it wrong. So, third one is in Toronto, which is still there. And then, our fourth one is in Hamburg, Germany. We’re part of partnership over in Tokyo, Japan. But we’re able to run it all through Sacramento. If I had the same company in Los Angeles or New York, obviously not only the business would be the same, but I would have way higher salaries, way higher rent, expenses, taxes, you know those things. As well as you have a competitiveness in the marketplace in those territories, especially L.A. If I have my team, other companies will be approaching and things like that. So, your turnover is much higher resulting in more costs. So that being in Sacramento everybody is… It’s a still city. People love living here. There’s not a lot of competition on jobs. Yeah, those type of things you want to take into consideration. I mean as you know. David: Yeah. We kind of started talking about that before we even started recording, but I know I live in kind of an obscure location in Calgary, Alberta, Canada, but I recently heard on a podcast it was Todd Henry and Ryan Holiday talking. I mean these are some exceptional entrepreneurs in their own right. And you know, I think Todd Henry says he lives in Ohio or Cincinnati, Ohio. He says that gives him time to dedicate to his projects and his family and the things that really matter to him versus living in a big city where there is way more distractions. And like you say, the cost of expenses or the cost of living can be way more, so I can totally relate. Fewer distractions here. Eddie: Yeah. And then the simple distractions like when I go to New York – I was in New York all the time. Or in L.A. I was in L.A. last week. Like even doing this with you today, like I have time because I’ve done a bunch of work this morning, and the day’s wrapping up. I don’t have any guest. Nobody is stopping by. I can focus. It’s like my little pod. The whole city. You know, there’s really no distractions, which is a really amazing thing when you’re starting a business to not have San Francisco or L.A. or New York type distractions, because I’m super easy to distract. David: Me too. That’s exactly right. There’s a term on your website and I wanted to ask a little bit about it. What is “direct to consumer merchandising”? Eddie: Direct to consumer merchandising. So, the way that you would look at Wonderful Union is essentially we’re the back office, the conduit, the White Label provider for the artist. So, direct to consumer merchandising means we plug into the artists through a direct relationship and contract essentially where we then work direct with the artist to sell to their fans. It doesn’t make sense for an artist to go ahead and be like, “Oh, we’re going to go launch our own store. We’re going to sell our own VIPs and do our own customers support.” The business doesn’t… It’s hard. It has to be a scalar business with many, many clients to make it make sense, to make it profitable, and to keep the costs down for each artist. So, direct to consumer merchandising is we have our own warehouse, we have a design team, we manufacture t-shirts and bobbleheads and coffee mugs and footballs. I mean whatever other kind of you know, whatever you want to make. Guitars that are–. I’ve got Megadeth guitars sitting here in my office. It’s all kinds of things that we’ve made. Well, we don’t make a guitar, but you know what I mean. We plan together and we sell as a package. So, that’s really where it is, and that’s how we are, as I say the company on the whole is really a back office for management firms and artists you know who are not going to create a you know–. Yeah, we have 50 plus people worldwide. Yeah, maybe it will take eight or 10 people to do everything that we do for one artist, and that’s not going to make any sense. David: Yeah, I love that because basically it means the artists can be a little more hands-off with this awesome revenue stream. Eddie: Yeah, they just have to approve it. They say, “I like it” or “I hate it.” That’s all they really want to do anyway. David: Yeah. So true. Talk about some of the other projects you’ve worked on and share about your experience as a music entrepreneur. What are some of the biggest lessons you’ve learned? Eddie: I think the biggest lesson I’ve learned… I think the–. It’s not like a lesson so much like– because I had to learn that lesson but like what I’ve–. Work in the music industry is a very small business, right? Everybody knows everybody. It’s not like we all work for car dealerships and there’s thousands of them around the country and each one has got 100 people and nobody knows anyone. The music industry is a very small business. If you do mess up, you have to rectify it. You have to fix it. You have to make sure everything’s good. You have to be, at least in our situation, you have to be responsible for every action that you take. And you also have to make sure you take care of everyone. It’s like a union or something. The artists come and go. Right? But the business is here. And the business modifies and morphs into something new. Every few years it’s totally different. ‘98 was Napster. 2008 was MySpace. 2018? I don’t know. It’s constantly morphing into what focused point of engagement and how fans react in commerce. It was Tower Records. Then it was iTunes. Then it was Spotify. The way that the business changes and morphs, you just have to make sure you take care of everyone, because the business changes, but really the people at the top don’t until they retire. There’s somebody that you know were behind them. It’s just taking care of your business is really the most important part I think of what I’ve learned. And you know when I got into this it was like I kind of need some people. I didn’t know a lot of people. And again, going back to just doing a good job. I know it sounds super petty and basic but you know – and being creative. It is definitely a space for the creatives. Like if you want to be in the music business, being able to be my own boss and being able to come up with some just crazy ideas. Maybe they are not even crazy. They are crazy to some people. Ideas that no one else has done, or don’t really make sense. Maybe they’ll catch on and they work. Maybe someone who works at a record label or another more established company couldn’t really take that chance because there was red tape, and if you get risky and “crazy” you could risk your job. For us, we were like well worst case is when the client fires us. I don’t know. We’ve got lots more though. Best case is you know you get a win, you do something cool. I mean it’s taking chances and being creative, being smart, and taking care of people. That’s really what I’ve learned in this space. But that’s all common sense you’d think. David: Yeah. Common sense is not so common sense though. David: No. I like your insights a lot. One example that came to mind – and I don’t remember all the details – but you might remember the band Extreme or some of my listeners might. They’re kind of the hair metal, or shall we say funk metal band. Eddie: Oh yeah. I’m good friends with Paul Geary, the drummer. He is a client. He also managed Godsmack, Steel Panther. He manages Hoobastank. I know Paul very well. Eddie: Shout out to Paul Geary Boston. Eddie: You know what’s funny is like as far as like maybe a couple of years went off. I don’t know if he’s doing it anymore, but I believe he is currently the music director for Rihanna. David: Yes. Actually, he was for a few years. Yeah. Doing that so. Eddie: I don’t know if he still is but, yeah. David: He worked his way up to it. So eventually he got his way, it looks like, which is great because I think he’s an exceptional guitarist and I love to see him succeed. Yeah. Eddie: It’s definitely… I mean it’s definitely you know. Especially when you’re an upcoming artist and you think you’re on top of the world. It’s like let’s go ahead and step back here. Nobody stays at the top. David: Yeah. Especially today, right? Eddie: Very rare. Maybe you’ve got a Coldplay, you’ve got a U2, you’ve got a Taylor Swift. But even 20 years from now, you can’t. It’s impossible. Time takes a toll on everyone and it changes the marketplace and changes what people listen to. There’s some songs in the 1970s that are amazing tracks that would never even get – no one would even record it today. You just have to take–. again, going back to taking care of the people who take care of you. David: It’s a great point. How important is social media for musicians today? I see a lot of new platforms popping up. I’m always asking myself if there is a place or need for all of them. Eddie: It’s very important. I mean obviously there’s the core, you know Instagram, Facebook, and Twitter, to some extent on Twitter. It’s our communication. It’s a directive point. People live in it day to day. Everybody’s on it. Everybody’s using it. If you’re able to include yourself into people’s lives, it’s extremely important in communication. That goes back to people are like, “Why do we still do websites?” I say, “Well, it’s when they want to get off social media and find out where the artist is playing.” You have a centralized focus point and an encyclopedia on the artists. That’s where those assets come into play. But yeah, being able to control and communicate and have a conversation with your fans is extremely important. And also for marketing. If somebody like something, you should be able to market to them in social media through organic or through paid advertising, as well as retargeting. It’s all extremely important because we’re over, over-saturated. Like growing up, I had three television channels and kind of cable, MTV maybe. And then a couple of magazines and maybe one radio station. I have no cellphone or the internet so I was relatively easy to market to. Now, dude I don’t know. I’ve got 20 different tech chat messages from apps on my phone. It’s hard to get the attention. And if you can get the attention and the engagement, you do it. Nobody wants to ever be sold. So, if you do it in an organic way, it’s 90% content to 10% marketing. But that content could be marketing if it’s done creatively and not like everyone else and not generic. Put some work into it. 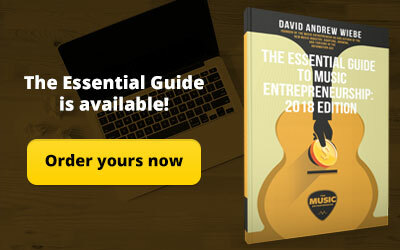 David: That is so true, and that’s really the foundation of what I do at The Music Entrepreneur as well. It really is built around this content marketing aspect of things. And that’s really why I’m a big believer in having a website. I mean artists have websites for different reasons. Some believe it’s only for booking purposes ,so to get booked they should have a website. I know some artists that are of that opinion, but it’s a space you own. You know you don’t own Facebook so having something, having a platform like that is to me really very powerful and important. Eddie: There’s no other distractions. And if you get them there, like I mean we see millions of users across our platform every month. People go. People when they search for you, it should be the first thing that comes up, because you control it. It’s your piece of real estate. It’s your home. All the third-party social media stuff is cool but again, I know I’m dating myself which I can’t contain. It seems like I’m doing it here over and over again. But back when I started the company, one of my biggest competitors that came out of nowhere, I started doing websites even before I started the company, and you know MySpace came out of nowhere and which obviously are gone now but people–. All of a sudden everybody is giving their information to Fox and you know, they were where everybody went to go find artists. Where’s all that data and user information now? It’s gone. I mean that’s a long time ago, but things come and go is my point. You should have something that you own and you maintain and you know it’s the official world of what you’re doing. David: That’s great. Actually, that’s an example I used to give all the time too – MySpace. Eddie: MySpace is a great example of something that’s dead you know. If you’re able to look at your website, not as a website but as a OTT channel, it’s your outlet. It’s your programming. It’s your content. It’s whatever you can get onto it. Most artists nowadays, all the pop ones, so many of them are just getting famous on covering songs on YouTube and growing it that way, but you know, still have websites, still drive people back to them. David: Yeah. And I think one of the key reasons to draw them back in is to capture them as email subscribers if you can. David: What other marketing channels would you consider important for musicians today? Eddie: Depending on the level of what they’re doing, obviously. If it’s up and coming, having–. It depends on where you are in your career. There’s all kinds of different things. There’s local level. Local level is knowing the people in your town. Knowing the club owners, the promoters, etc. Knowing the radio station people. Being friends with all of them. Not being annoying. One thing I’ve always learned is you never ask for anything. If you don’t ask for anything, people would want to give you stuff. It gets to the next level where if you’re on a domestic touring business, it’s like getting to know everybody in the business, having the right publicist. All those tools come into play. But like outside of social media. I mean the most important thing, to be very honest, the most important thing is you couldn’t miss it. If you have an amazing song, you have an amazing talent, everything else you know and the work ethic and everything just kind of should come together in social media and you know, just being engaged. But never be annoying. I do a lot of conferences, panels and stuff. They were like, “How do I get a record deal?” I was like “Hmm. I don’t know.” There’s so many different areas. It’s a good question, because there are so many different levels of where you are in a career that become important. Obviously social media follows you through that. If you and I decided to start a band, we’d make a Facebook page, and a Twitter account, all the way through magazine relationships, and promotions and festivals. That’s a whole other topic. David: I know, right? I think in a recent podcast episode I said there’s probably hundreds if not thousands of channels you can use. It just really depends on your audience, your goals, where you’re at in your career. It all plays a part. David: Yeah. What apps or business tools are essential to your operation? Or which apps are you hooked on right now? Eddie: I mean essential for a business. We’re pretty still tech heavy at what we do, but Slack is extremely important to us as a company, just for inner office communication. It’s changed our life. I just don’t like e-mail. We switched our company over a couple of years. We got Dialpad. So, all of our phones are all VoIP. It allows us to have our other offices in our internal here in California as well as everywhere else on the same phone plan. We’re able to transfer calls in between. Other things like Basecamp allows us to run our business, Google Apps, all the basic business things we use from a company standpoint and from stepping back a little bit from the music element of it into business. We’ve got QuickBooks. We’ve got Google Apps, Slack, Dialpad, Basecamp. I’m trying to think what else. iMessage, obviously. When it comes to the travel type things, I use… It really depends on what part of the business, but that’s really the core of it. I mean I think in the last three or four years, Slack is probably the biggest addition to how just anybody communicates internally. Eddie: Oh yeah. And then other parts of the company, we run all of our customer support through Zendesk which is integrated into our platforms. Zendesk is an amazing tool, which also plugs in to Slack, which people can request days off and you know–. Sorry, Zendesk and then Zenefits for all of our HR and staffing stuff internally, which is another great tool which also… Both of those apps actually go into Slack where you can communicate when there’s no high call volumes or people have customer support issues to be able to ask each department in real time and get answers what people on the phone are doing chats. But at the same time, using Zenefits where people can request their time off or check – not that we have schedules but like all that kind of stuff. There are some people who work hourly, checking in and out which integrates with Harvest. And so, running the business is like using third party tools. It is amazing. There is so much good stuff out there. It’s exciting to find something new. Usually, you pitch it to people and they go like “no” and then they play with it for a little bit and like, “Oh, yeah. This is going to change my life.” And that’s when we find an exciting tool. I think Zenefits was one of those which I brought over to my HR director. She’s like, “I don’t know about this.” I’m like, “just play with it”. She’s like, “Oh my god. This is the best thing ever.” Those are good days. David: I mean there’s nothing more–. I mean you’re basically speaking to the idea of systematization there, which is so important for running a business when you’ve got 50, 60 employees. Or I mean, if you don’t have those tools and systems in place to kind of guide your people and what they need to do day by day, it’s just chaos. Eddie: It’s a mess. Yeah. You have to like be able to– simple things like request time off or being able to… We built our own–. We have our own what we call a Business Management System which allows me to log in and see the entire operations of the company. So, transactions, people buying things. Many users like content management updates blah-blah-blah. Everything. Reports, top spenders, so and so forth, process system. Having all of that you have to be able to — because we all are heavy on the services but we also have to rely on you know largely on the tech and allow… I can’t imagine. And I don’t know how you would run a business in like the 1980s with no technology. Eddie: Just filing cabinets. Like how many more people–. We wouldn’t have a business. But like I don’t know how you would run it. Like telephone calls and voicemail, voice machine. They didn’t have voice machines. People taking notes. It sounds like a mess. But yeah, I love technology. David: Yeah. I definitely geek out on the stuff because we just have so much incredible stuff out there today to take advantage of. Well, it’s been really great chatting with you and it turns out we see eye to eye on a lot of the issues, which I didn’t necessarily know going in, but having just chatted with you – Yeah, I think we’re–. David: We’re on the same page really. Is there anything else I should have asked? Eddie: Nothing that I can think of. I mean I love talking about the music. I mean I’m in this space because I love music. I hopefully never ever do anything else in my life besides working in this business. I’ve been lucky enough in my life to–. This is what I wanted to do since I was a kid and sitting and opening up the records and reading all liner notes and smelling the labels and like obsessing on the records of Iron Maiden. I grew up as a metal head. I feel I’m lucky enough to have a dream job. If you can do that, like I don’t know if it’s luck or being good or what it is. But as far as any questions, I could sit and talk about this all-day long. But I don’t know what to ask. I feel like you know, thank you for– I mean even taking the time today to talk about it. Thank you. Check out our website, wonderfulunion.com. David: Perfect. Yeah. No, it’s been really great chatting with you. Thanks so much for being our guest on the show, Eddie. Eddie: Of course. Thank you so much, man. Have a good night.